Does High Consumption of Salt Affect Bad Cholesterol? Eating too much salt can be bad for your circulatory health. Having high levels of bad cholesterol can also be bad for your circulatory health. Understanding how both of these affect the health of your heart, and how they interact, can be one of the best things you can do to reduce your risk of problems from high blood pressure, to heart attack and stroke. Low-density lipoprotein is the bad cholesterol your doctor tests for. Although important to your tissue health, it can clump in your bloodstream. This forces your heart to work harder to move your blood, and increases your risk of circulatory problems. Your body produces LDL cholesterol in response to the presence of saturated fats in your diet. Salt contains no fats of any kind, meaning it does not stimulate your body to produce LDL cholesterol, or the HDL cholesterol that can reduce your levels of harmful LDL. However, it's worth noting that salty foods are often also high in fat -- which can increase your levels of bad cholesterol. 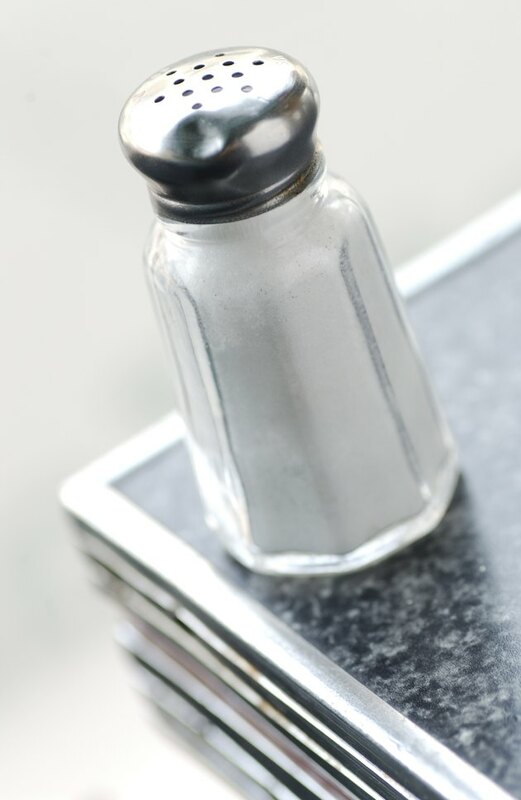 The sodium in salt can increase your risk for high blood pressure, heart disease and stroke. Although the mechanics behind this aren't completely understood, it is in large part due to the fact that a balance between sodium and potassium is responsible for your heart's function. Upsetting that balance can cause circulatory issues. Salt does not affect your levels of cholesterol level. However, it can exacerbate the risks associated with high cholesterol by itself increasing your risk of high blood pressure, heart disease, heart attack or stroke.